On February 7th and 8th, Siemens specialists hold a technical training seminar for CNC operators and electronic engineers. The training program included both practice and theory on the technological capabilities of Siemens CNC systems, customization options for a specific client, as well as repairs and maintenance. “Regarding the start-up, maintenance and service, the possibilities, the volume of documentation and knowledge that Siemens provides, they are known as one of the best deals on the market. Our task is to show and tell about the programs that we have for the equipment set-up so that the specialists of StankoMashStroy use them in their work and improve the quality of the equipment they produce, ” Oleg Karlov, head of sales of the CNC system group Siemens said, and added that in recent years the company experienced a very significant growth and progress in the production of metalworking equipment. 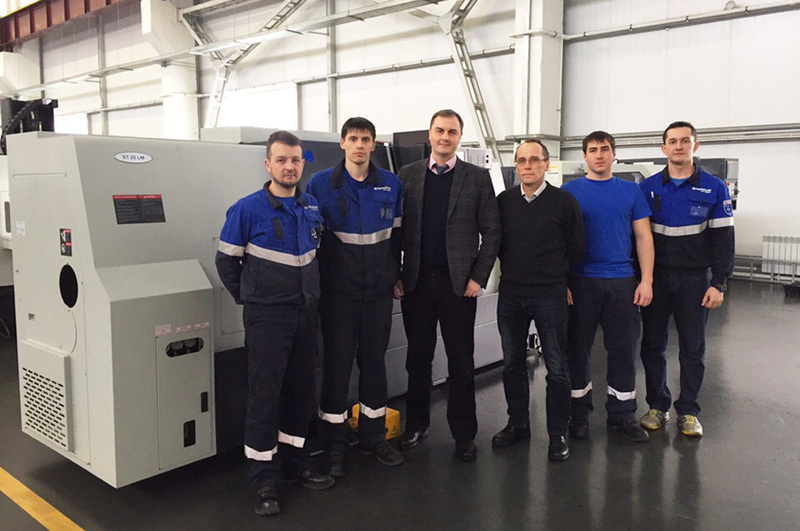 “Your company has become today the leader in machine tool manufacturing in Russia. The success of the Penza machine-tool enterprise are well-known in Moscow, and being here is very important for our company. Our task is to make competitive products with you that meet all modern requirements, ” Oleg Karlov said. Companies expressed interest in the development of further mutually beneficial bilateral cooperation.